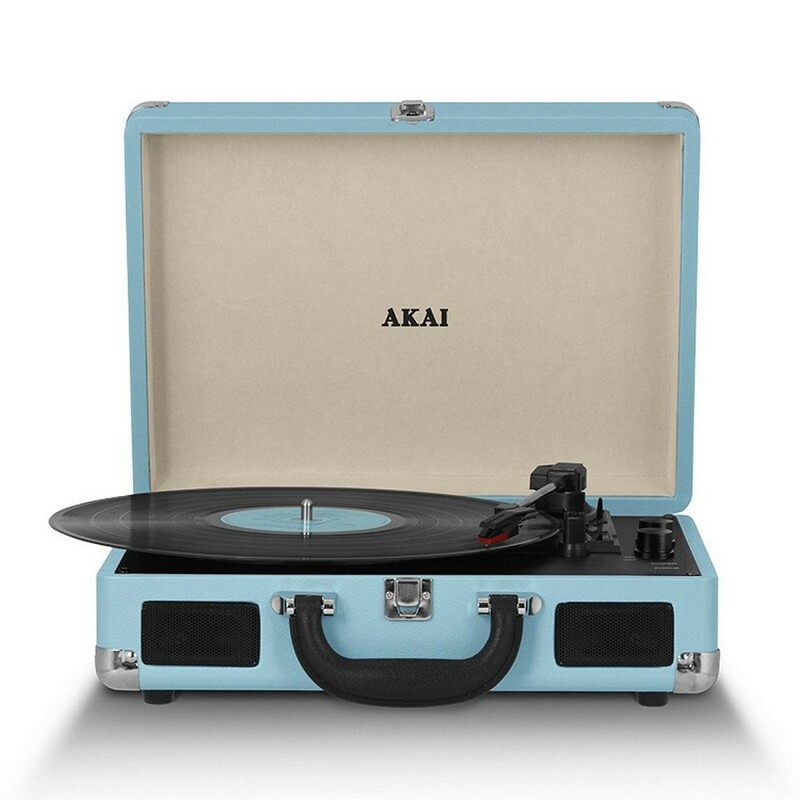 Re-live the glory days of music with the Akai Bluetooth Rechargeable Turntable and Case. 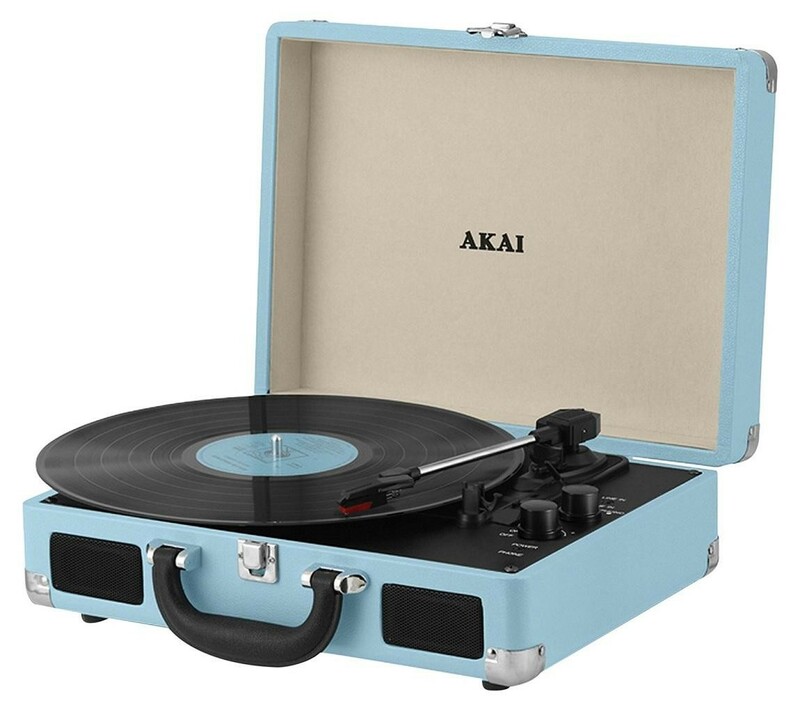 With a stylish faux leather case, the Turntable offers professional sound quality thanks to two 5W PMPO built in stereo speakers, while a range of settings lets you select from 33/45/78 RPM speed options. With Bluetooth connectivity, the turntable can also connect to any Bluetooth enabled device letting you stream your favourite music from your smart phone, tablet or mp3 player, wirelessly at the touch of a button. The rechargeable lithium ion battery provides 3 hours run time from a single charge and offers portability without wires allowing you to take your music wherever you go!